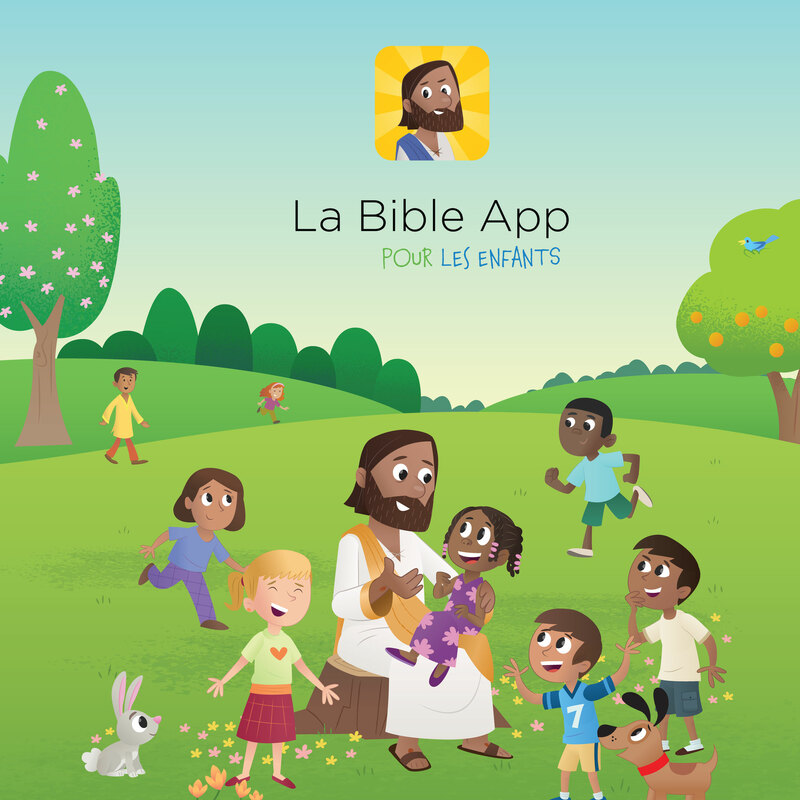 Now Your Children Can Experience the Bible App for Kids in French! More than 220 million people around the world speak French. And according to a recent survey, 1.6 million families in the U.S. said that French is the primary language they speak at home. Ever since we added French to the Bible App almost five years ago, millions of you have been actively participating in the worldwide YouVersion community. Today, together with our partner OneHope, we’re pleased to announce the launch of the Bible App for Kids in French: La Bible App pour les Enfants. Now, more children than ever have the opportunity to enjoy a Bible experience all their own. And with our all-new language selector, now you can select French as your language of choice — from directly inside the Bible App for Kids! Simply update your app to the most current release, then look under Settings for “Language.” You can choose between Brazilian Portuguese, Chinese, Dutch, English, French, German, Korean, Russian, and Spanish. The audio will play in that language, and any text will appear in that language, too! The Bible App for Kids is the newest app from YouVersion, makers of the Bible App, designed to give children a delight-filled Bible experience all their own. Developed in partnership with OneHope, the Bible App for Kids has already been installed on over 8 million Apple, Android, and Kindle devices, and it’s always completely free. Kids from all over the world are now enjoying the Bible App for Kids — in Brazilian Portuguese, Chinese, Dutch, English, Korean, Spanish, Russian, and now in French!